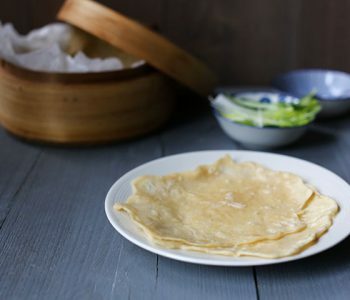 These Chinese steamed pancakes are called Bao Bing pancakes in China and are not like any other pancake recipe you know. 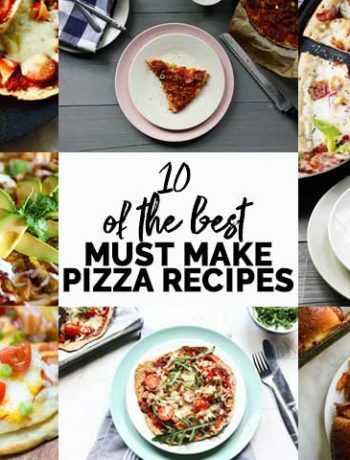 For one they are made from a dough instead of a batter. They are flavored with sesame oil to give them a savory taste. The oil has a nutty scent and flavor that translates to the pancake. Warning to all who are sesame seed intolerant to not make this recipe. These pancakes need to be really thin, almost translucent so you can see what you put inside. When you baked the pancakes you need to steam them. I use a bamboo steamer with some baking paper to prevent the pancakes from sticking to the steamer. You will be surprised to taste these as they taste just like the ones you eat in your favorite Chinese restaurant. 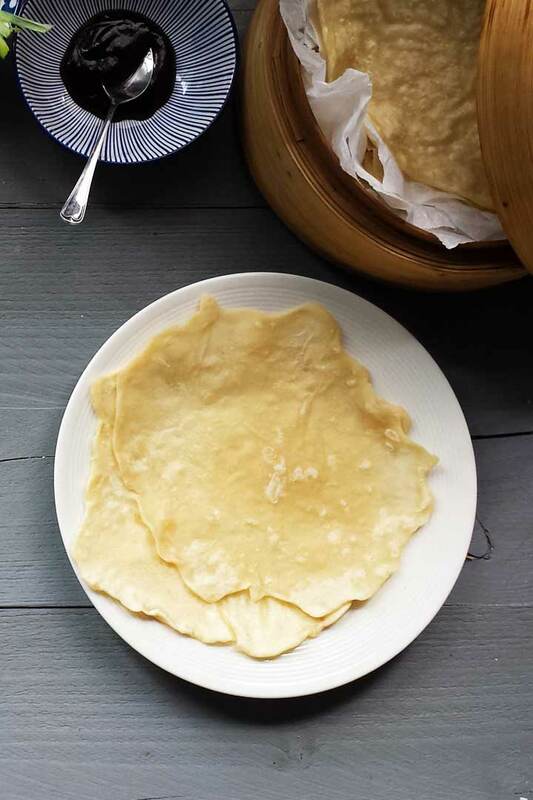 The shape might not be as perfect but the taste of these Mandarin pancakes are. 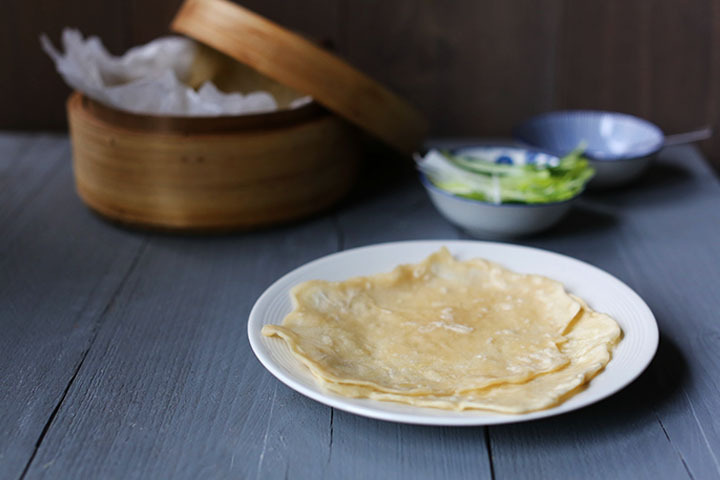 Peking duck pancakes seem like a difficult recipe or at least not something to make yourself. 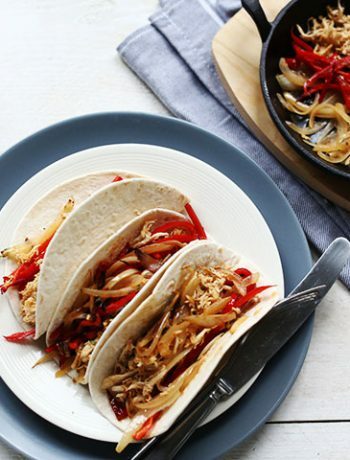 But would you believe that Peking duck pancakes are almost as easy to make a flour tortilla? The only that deviates quite a bit from flour tortillas is the kneading. Peking duck pancakes require far more kneading time. But first things first. How do we make the dough? Equal to tortillas so we start by putting the flour and salt into a mixing bowl. Stir through to mix the salt and flour before adding boiling water to it. Now stir the water into the flour with a wooden spoon. Let it cool until you can knead the dough. 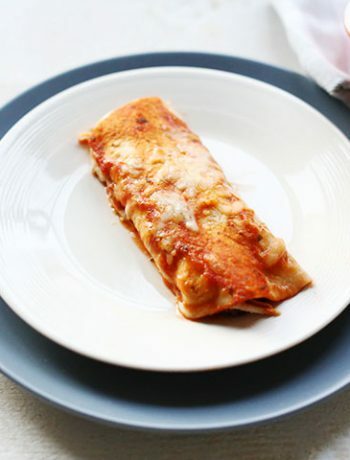 Here is where it differs from a tortilla. Flour a work surface and need the dough on the countertop for at least 10 minutes until you get a soft silky dough. 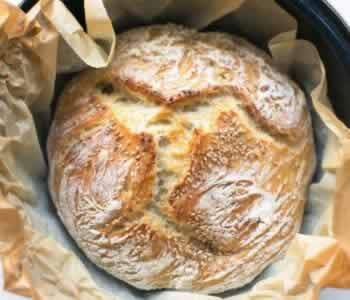 Cover with a clean kitchen towel and let it rest 30 minutes. Then knead the dough for another 5 minutes. Then take the dough and roll it into a long sausage shape before cutting into 7 or 8 pieces. Now is time for the sesame oil. First to cover the dough balls and second to use to brush the skillet or baking pan. 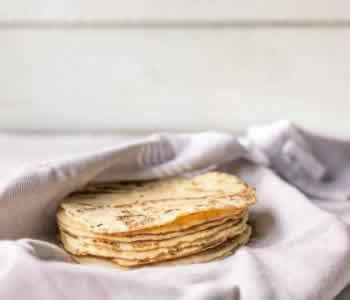 When you dip a dough ball into the sesame oil take a rolling pin and start rolling the dough ball into a thin pancake. 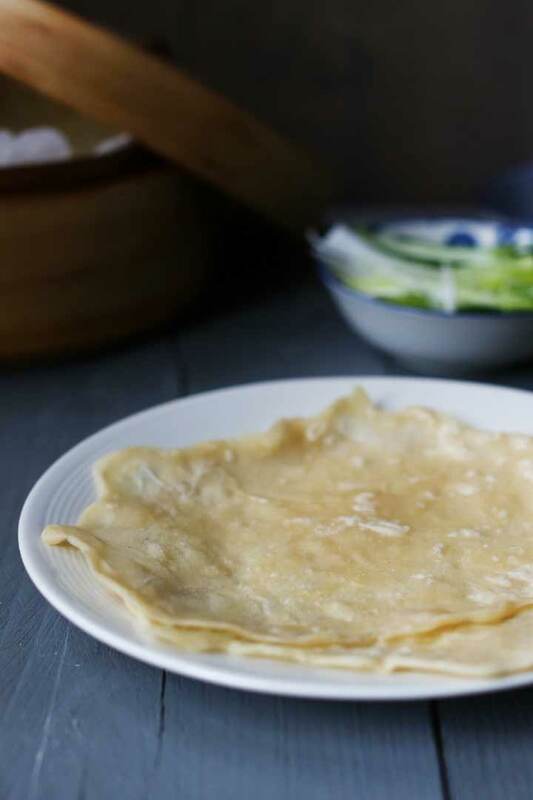 The Peking duck pancake is very fragile so be careful when you lift it into a pan. Heat a pan on medium and bake the pancake. Prevent the Mandarin pancakes from getting brown. As soon as it is dry turn and bake the other side of the pancake. Stack the pancakes and keep warm in a clean kitchen towel. Before serving warm the pancakes in a bamboo steamer over boiling water. Peking duck pancakes freeze really well. Put them in a freezer bag or a freezer save container. Roll dough into a long sausage shape cutting into 7 or 8 pieces. Heat a pan on medium and bake the pancake. Prevent the pancakes from getting brown. Turn and bake other side. 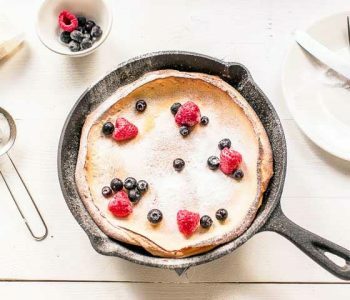 The pancake is very fragile so be careful when you lift it into a pan.